I’ve been having the kind of week where knitting time is essentially zero and I’ve had to miss my last two yoga classes due to working overtime. Such conditions lead to a very un-zen-like-Alicia, let me tell you. My honey cowl, click for project page. Pretty yarn helps, though. That honey cowl is the only thing I’ve worked on this week, but it is progressing nicely. It serves well as a travel project because it is so. stinking. simple. and was great to bring around with me over the weekend while my parents visited. Me tentatively feeding that guy. This wrap was worn in Downton Abbey! We took the ferry over to Block Island, which is a very special place full of sand, sun, and alpacas. Mom and I encouraged the fellas run wild on mopeds while we let loose in North Light Fibers. I got the Fiasco some socks, so we’re even, right? I took home a couple skeins of a really lovely laceweight 60% alpaca / 40% kid mohair blend. I have never been a huge fan of mohair but there’s something about this blend that feels really weighty and delicious in my hands. They had it in worsted, too, but I have little use for single skeins of worsted nowadays and I thought I’d get more knitting bang-for-my-buck with laceweight. We followed up our island adventures with a trip to the city to see the WaterFire event. WaterFire is a neat art installation / street festival that takes place in Providence every few weeks in the summer and fall. Over 80 huge bonfires are lit along the rivers that run through the city and they pipe beautiful music through speakers along the whole thing. There are often vendors, food, performances, etc. and it switches up every time. It’s a cool thing to check out. We finished up our visit with a day at the Durham County Fair in Connecticut. There were animals, rides, concerts, and plenty of fair food. After such an exciting whirlwind weekend, it’s no wonder I feel a tad… unbalanced. I’m looking forward to some time this coming weekend to catch up and get back in touch with my zen. What do you do to keep your cool when things get busy? In the meantime, have you entered my Blue Sky Alpacas giveaway yet? Entries will close tomorrow (Thursday) at 11:59 pm Eastern time, so make sure you do so soon! And check out more WIPs at Tamis Amis. I’m taking a page from Truly Myrtle‘s book and sharing a few sort-of-random things this Friday evening. Dyeing has been on my mind lately. (Also probably Truly Myrtle’s fault!) I have several skeins of the above lovely, naturally grey/brown yak/silk fiber that I plan to use in a Salted pullover. However, I’m not a fan of uniform colors in my knitting and I love the speckled look of the plain stockinette sections of the sweater sample, so I thought I’d dye one skein and see if I could achieve a similarly subtle variegation. I took a stab with a depth of shade of 0.25 of Turquoise and I submerged the yarn in the dyepot all twisted up in the hank, as shown above, with the idea that the twisted bits would act as a resist and prevent the dye from completely penetrating the whole skein. It’s simmering as I write and I keep peeking in the pot, but I don’t think my plan is working. It’s looking pretty saturated and dark and the dye bath is not exhausting… sigh. I suppose that’s why we practice! Cypress vest by Jared Flood. Copyright Brooklyn Tweed/Jared Flood. Click for pattern page. The issue is that I just can’t see myself wearing such a multicolored garment. I have some Silver Grey dye that I think will darken the colors up just enough to make them cohesive enough for a garment, while preserving some variegation. (If anybody has some tips on how best to go about achieving this goal, I’m all ears!) I’m not sure what’s gotten hold of me lately but I want a sweater, and I want it now, so Cypress it is. I’ve been continuing to practice with my new camera. I love it. I’ve taken a truly absurd number of cat photos over the last few days. Oh well! I suppose I’m just another stereotype after all. I’ve been a busy bee preparing fall fragrances for Sweet Sheep Body Shoppe. Some of them should go up this weekend after our farmer’s market tomorrow. If you live in or near Rhode Island, come visit the Mount Hope Farmer’s Market in Bristol, we’ll be there from 9am – 1pm (on Saturday 9/20)! And now for the most random of the things I wanted to share this evening: as you may or may not know, I’ve been a big fan of Jason Mraz’s music for over a decade (yikes). Much of my down time during 2003 was spent watching ad nauseum when I should’ve been sleeping grainy video clips of his small time performances in a coffeehouse in California. His voice and musical style are just… incomparable. There’s nothing quite like his mysic: a little bit of twang, a little bit of soul, a little bit of 70’s rock, a little bit of cheesiness, a ton of lyrical wordplay, and a whole lot of talent. That fuzzy man on stage is Mr. Jason Mraz. When a friend from grad school had an extra ticket to a show I hadn’t even known was happening I jumped all over the chance to see my long-time-love. He has a new album out that he wrote with an all-girl folk band, Raining Jane. I wasn’t sure how I felt about the band change at first but after seeing the show, I love it. He said about the collaboration that he had needed a change, he was dealing with some writer’s block and he would’ve put out a record either way but that he’s so grateful they agreed to work with him because they were what he needed to produce music that “filled his heart”. It’s interesting to think of artists we admire dealing with creative burnout. If you have Amazon Prime, there are several of Jason’s albums available for free download. His newest one, Yes!, is the one with Raining Jane and it is worth every penny of the $6.99 that Amazon is currently charging. Below you’ll find a ‘short film’ which is essentially 3 continuous music videos in one. They perfectly represent the dreamy quality of this new album, and I’ve never seen someone make a whole mini movie out of their videos before. Check it out! While I’m super excited about the new direction his music is taking, I’ll always love him best when it’s just him and his guitar. But I suppose that’s enough fangirlin’ for one night. I could go on, but I’ll spare you (unless you want more info, just let me know). Plus, I’ve got a few hours worth of Jason to watch and a dyepot to check up on. Happy Friday! While the blog’s been a little quiet lately, I’ve been quite busy with Sweet Sheep shows, work, and grownup things like buying a new car (since ours was totaled) and official name changes (since the Fiasco and I got married and are combining our last names into one). In the midst of all the Important Things To Do, I’ve been riding a wave of creativity that has had my head going in a million directions at once: swatching! designing! new lotion scents! new product lines! dyeing! sweater-cast-on-ing! and last but not least, photography! You might have noticed that the quality of photos on the blog has dropped since August, due to my Canon point-and-shoot dying a slow and agonizing death all summer that ended unfortunately while we were away in Costa Rica. Since good photos are such an integral part of blogging, designing, and selling products online, I figured it was finally time to spend the extra money and invest in a for-serious SLR camera. I’ve spent spare moments over the last couple of weeks doing some research and trying to figure out what I wanted in a camera, whether used or new was a better deal, and just what all those abbreviations and numbers really meant (still working on that bit). The tip of Calypso’s nose. 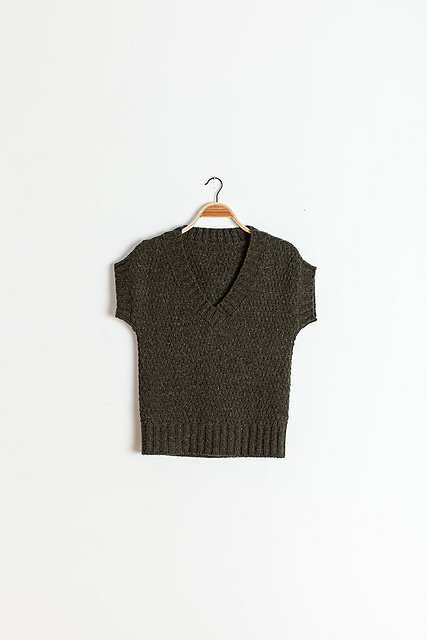 I found Audry’s knitwear photography blog series to be extremely helpful in providing some context and examples for what all the numbers mean and what a good camera is. I also read lots (and lots) of CNET reviews and spent far too much time on tech sites like bhphotovideo.com and Adorama.com, where I ultimately placed my order. Adorama had a great deal on what is essentially the entry level version of the higher quality camera that Audry uses, that also included a bag, an extra battery, a remote trigger, a basic 18 – 55 mm lens, a lens filter, screen protector, SD card, and a couple other things I can’t remember at the moment. Basically, it was a new-hobby-in-a-box for cheaper than I could put together buying a used camera and the lens and accessories separately. To top it off, it arrived in 2 days, yay instant gratification! I’m really looking forward to getting to know all the ins and outs of this whole thing. I’ve loved photography forever (my first job was working in the photo lab at CVS) and have always wanted to improve my skills. Photography is one of my favorite art forms and I can’t wait to see what I can create with a decent piece of equipment! Anyway, I’ve also been knitting (cue crappy photos again). BMFA De-Vine in Pond Scum. Click for project page. I randomly decided to revive my hibernating Cedar Grove Shawl. It’s dropped down into the 50s and 60s here so it’s about that time where I’m too cold in short sleeves but not yet ready to commit to wearing jackets again. That’s when a big bulky shawl comes in handy as outerwear. I’m about 60% done with this and just broke into the second skein. CY Traveller in Hobart, IN. Click for project page. I’ve also finally started my Honey Cowl. I’m a few more inches in than this now and it’s going quite swimmingly. The slipped stitch pattern is a real comfort to work, especially in a fun rainbow-y yarn. I’ve used the same stitch on a design in the works (sneak peak below) and plan to incorporate it into some socks, as well. Oh, the gorgeous up-close rainbow. What have you been working on lately? Any new hobbies vying for your attention? Check out more WIPs at Tamis Amis!